These finely-crafted and highly detailed 'hoop style' earrings showcase a fusion of traditional and modern Balinese jewelry design. These ornamental earrings are fabricated from 92.5% sterling silver and exu... Read more. These finely-crafted and highly detailed 'hoop style' earrings showcase a fusion of traditional and modern Balinese jewelry design. 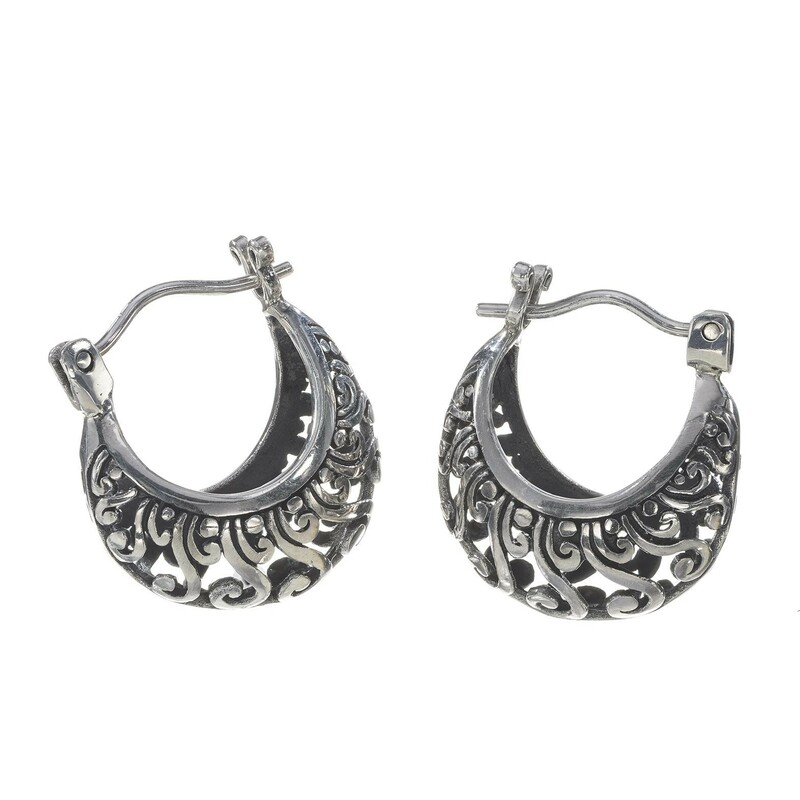 These ornamental earrings are fabricated from 92.5% sterling silver and exude a considerable amount of Bohemian flair. A unique complement to any piece of your wardrobe. Beautifully handcrafted by a Balinese artisan.